Incorporated in 1994 and now in its third decade, Kingsgate Diamonds operates simultaneously in both the wholesale and the retail markets. Kingsgate made its reputation as a specialist, whose only business is extremely well-cut loose-diamonds for use in engagement rings and other fine jewelry. Now primarily wholesale, Kingsgate’s principals continue to be available to consult with existing customers and highly-referred clients. Kingsgate believes in an uncompromising commitment to Honor, Integrity and Value. 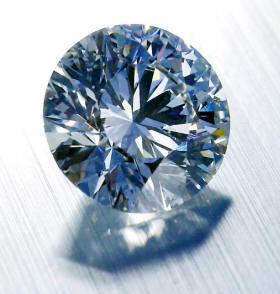 As price leaders, we are able to offer our clients, diamonds of exceptional quality, at exceptional prices. Our price guarantee transcends the concept of the discount diamond, to encompass a high quality product of very high value. We exclusively offer exceptionally well cut diamonds which are accompanied by a GIA diamond grading report, and, can be described as ideal-cut or super-ideal-cut. Our screening process allows our clients to avoid well over 99% of less desirable diamonds.